Don’t be lulled into thinking that your insurance coverage is enough for you and your family throughout your life. Identifying the coverage size is an insurance buyer’s foremost concern. Yatin bought his life insurance policy seven years back when he got his first job and now he is married and planning to start a family. He realizes that his current plan does not fulfill his increasing coverage needs and hence, he review his plan at least once in a year to take necessary steps. But, not all can understand the same thing. They start blaming their insurance service provider for giving them wrong plan. Our needs change with time and to meet those needs, we also need to change our plan. When you are single, your insurance needs are less, but when you grow old and have dependents, your insurance needs also increase. Identifying the coverage size is an insurance buyer’s foremost concern. Don’t be lulled into thinking that your insurance coverage is enough for you and your family throughout your life. Term insurance should be sufficient to generate income that can take care of the family’ expenses till your dependents before self-sufficient. What if your spouse is dependent on you? Hence, make sure that the coverage is also enough for her/his lifetime. Ensure that the insurance money received should be able to settle all outstanding loans, child’s education. 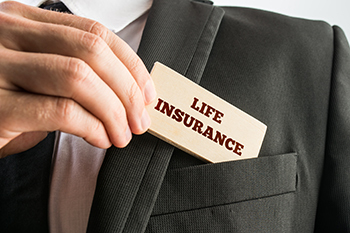 The life insurance policy should cover you at least till the age of 60-65. Avoid buying short-term plans because these plans terminate early, and buying a new policy will cost you really expensive. Some plans offer real value to the policyholder, some are just marketing gimmicks. So, make your selection carefully. Some people are not good at handling large amount of money received as a lump sum. Therefore, consider your nominee’s ability to handle the large sum. If you are young, health check up in a year is must and if you are old, then it is advisable to go for a health checkup once in a six months. It helps you to understand your insurance needs at the time of policy renewal. It helps you to avoid being over-covered and/under-covered. When you review your policy yearly, you can easily recognize the need of extra insurance coverage.